It is the last week here at the Devised Yukon Project. We are in that exciting time when things are coming together; pieces which were seperate a week ago are now part of the same puzzle. It is also a dangerous time where we need to balance our desire to work hard and make great theatre with the knowledge that we will need energy to perform at the end of the week. Jessica and I have been using Google Docs since the beginning of this project. It has been a fantastic tool. Here is how we use it. All of our grants for the Devised Yukon Project started in Google Docs. This allowed us both access to the same document at once. Jessica and I would often having meetings over the phone while writing and editing each others' work. That is until we found the chat features. This, along with the ability to comment on specific parts of a document, made the consolidation of ideas seamless. We could write sentences together until we found the exact right phrasing and we could proofread for each other. Google Docs also has spreadsheets with the same sharing capabilites as its' documents. By putting our budgets in an easily accesible location I'm able to look up our numbers on the fly. I can update them and Jessica can see them the next time she checks the spreadsheet. We not only keep our full project budget on there, but we also have many running tallies where we can see exactly how much we have left to spend on different parts of the project. We also use the spreadsheets for registrations, contact information and tracking RSVP's. We began the Devised Yukon Project with a Master Notebook. It was a repository for everything that was happening in the studio. Every idea, action sequence, or moment of dialogue was captured in the Master Notebook. 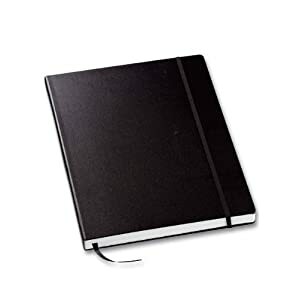 I began noticing that people were prefering to keep private notes for themselves and then capture only specific things in the notebook. Gradually, use of the Master Notebook declined until we barely use it every day. Instead, we've moved our capture medium to Google Docs. We have documents which are shared with every member of DYP. This way we can all contribute to the documentation of the project at our leisure. It doesn't have to be in the studio in a physical notebook. We've collected lists of materials, different bits of dialogue and eventually our full working script made it up there. Because every bit of material was already online, creating the script was as easy as copying, pasting and formatting. Now, we aren't using formal script formatting, but there is a template you can use with Google Docs that will let you do that. I just thought I would take some time to write about an internal element of our process. This isn't something you would normally hear about when one talks about creating theatre, but sometimes you need to make it easier to make things good.